This entry was posted in "Four legs good", Favorite Perfumes, Know-How, My Stats and tagged Bertrand Duchaufour, bespoke perfume, Christine Nagel, Christopher Sheldrake, Geza Schoen, Jean-Claude Ellena. Bookmark the permalink. that’s some serious thought you have given to the topic of bespoke perfume! Of course I am aware such service exists but I have to say that I was never tempted to take part in such excercise. Probably because I am not willing to pay the cosmic price while the cheaper ones repel me as they probably use low quality or mostly synthetic ingredients. There is a place in Warsaw that opened few years ago – it’s some sort of a lab you can go to (upon booking first) and you’re being let into a room with different perfume ingredients (all synthetic) and you’re allowed to mix your own perfume. You can use as many aromachemicals as you want to make a 50 ml bottle of your perfume. Friends from Warsaw went to try it and they said that as long as it was a fun activity to do, it’s a poor experience. The smell of perfume was solely depending on a person mixing ingredients, so they were not really “perfumes” as they were blended without perfumery knowledge. They also had no lasting power – few minutes later the scent was gone. I’m surprised that those perfumes have poor lasting power: if nothing else, many the aroma chemicals should have at least some residual longevity. Though, I remember my friend in Ukraine showed to me perfumes that one could buy there by ml (10-15-20), and those also were very fleeting. Maybe they were not lasting because The alcohol definitely wasn’t a perfumery grade now. Or the aromachemicals were used in small amount or they were poor quality, who knows. I agree wholeheartedly. In fact, I’ve had many of the same thoughts, and come up with the conclusion; I don’t believe anybody could actually make a perfume I wanted more than Vol de Nuit or Attrape Coeur. 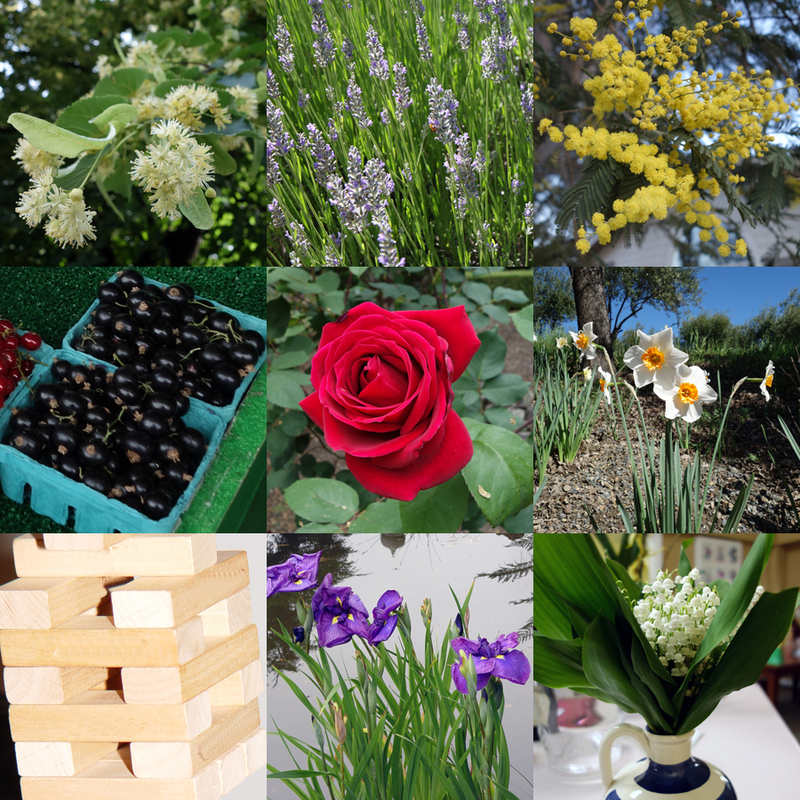 Twice I had a fragrance custom made for me…once at Garden Botanika and then one made by an unknown perfumer in 1998 ( I really liked that one but after several re-orders I got side tracked by other new releases)…..said perfumer turned out to be Sarah Horowitz-Thran. Back in the day the cost was so low (can’t remember what I paid but it was definitely reasonable) and it smelled really great on my skin (it was a grapefruit, lilac, sandalwood blend). I can imagine making perfume for yourself (theoretically, I am not capable of doing that), and I definitely can imagine liking something created by Sarah Horowitz, Dawn Spenser or Laurie Ericson 20 years ago. But today, 2-3 thousand perfumes later, I am much more finicky. If you happen to win the lottery tonight (or any other day), I could still suggest a better way to enjoy extra money (perfume-related, I mean) – so come and we’ll talk (and I won’t even ask for the consulting fees ;) ). My perfume fidelity goes as far as to keep using the same perfumes that I used to love many years ago. But I cannot use just those, and I keep getting more favorites. Ah, this was a great read, Undina. I chuckled to myself a few times. 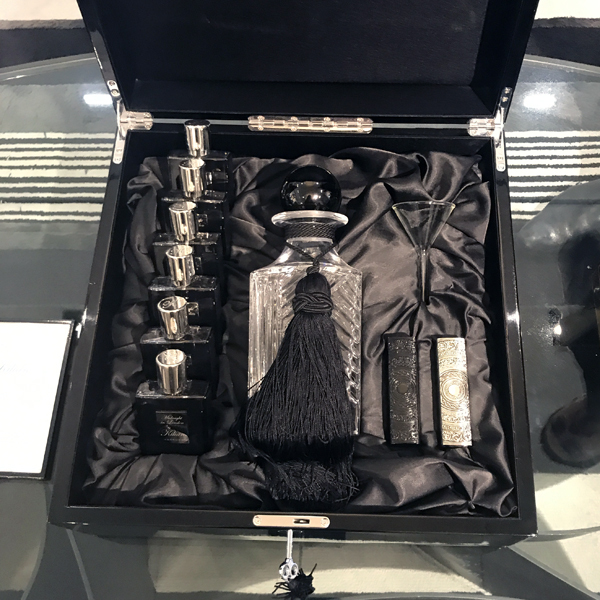 I particularly enjoyed in relation to Christopher Sheldrake “All Serge Lutens perfumes that I like and wear have been created by Sheldrake. But most of Serge Lutens perfumes that I do not like, were also created by him.” Haha. So true. There doesn’t seem to be much middle ground with bespoke fragrances and I agree that we’re not the market for them. I see people at Bloom who are gifted a semi-bespoke perfume experience for their birthdays as something fun and then the other end of the spectrum is all about the luxury/exclusivity factor. I’d love to know how much Guerlain charge. At least it’s Thierry Wasser who makes the finished article. It’s an interesting point: I wonder can I sign a release form when ordering a bespoke perfume and get one that doesn’t have to follow IFRA standards? :) What if we could organize a “class action” with everybody who wants the “old” formulas signing/pre-ordering those perfumes with acknowledgement of all the possible consequences of using them? From what I read while working on this post, Guerlain has bespoke perfume service (Lindaloo is right, the price I saw mentioned was north of $20K. But what surprised me more, they have the next level up – private perfumes – which is 15 times more expensive. I couldn’t figure out what was the difference but I didn’t spend too much time comparing details since – no matter what – Guerlain won’t be my brand of choice. I love this post! You had me laughing out loud (“All Serge Lutens perfumes that I like and wear have been created by Sheldrake. But most of Serge Lutens perfumes that I do not like, were also created by him,” “I probably wouldn’t mind him to be a creator of my bespoke perfume. But would he even have time?” “But I’m not sure I would be able to pry a vat of Iso E-Super from him, no matter how much I pay.”), and you also made me think about what I would do. I would probably go the Barbara Herman route, or do what Ari did (Cécile Hua and her husband have a bespoke service https://www.bespokefragrance.com/pages/about-us). In any case, I would want to know my perfumer as a person in addition to knowing their work. In any case, wonderful, wonderful post, Undina! Thank you for brightening up my day and giving me food for thought! Hi D! It’s great to see you – I miss your posts. And thank you for your kind words. Thank you, Steve. It’s great to have you around again. I wouldn’t mind spending $100-$150 to play with some ingredients under a perfumer supervision – but mostly to appreciate my favorite perfumes even more, I wouldn’t expect to get anything worth wearing from that exercise. I was present during such session at Bloom and thought that it wasn’t organized the best way: in a tiny shop, while Tara, Vanessa and I were testing different perfumes loudly exchanging impressions, a couple was “working” on perfume, I think, for her. It might be fun in theory but I don’t think it was the best experience one could have with that type of activity. I do not object to those services per se – as long as participants enjoy the process and realize what they are getting for their money. It’s not for me but I appreciate the popularization of non-mass-market perfumes. Ah ha. I have not been there during a session. Just sniffed some of the materials used. It is a very small space …. I loved this post, and all the systematic thinking that went into it. I found myself nodding along and agreeing with everything you said, also your assessments of individual perfumers that you liked. If I ever went down the bespoke route – and I wouldn’t, for all the reasons you mention – I would be that soldier, wanting to be encouraging and not just saying ‘Sorry, still not quite nice enough’ with every iteration. I am happy to have a scent wardrobe to cycle through in my usual haphazard fashion, much of which might as well be bespoke, given the likelihood of anyone round here wearing anything in it! I wouldn’t mind though perfumistas party with somebody who knows something about the proper mixing – “to play perfumer” together. Great post, Undina! While a bespoke fragrance might seem like the ultimate indulgence for a fragrance lover, there are so many factors to consider. I LOVE it when you rant about something. I had done a budget bespoke perfume at Bourbon French in New Orleans. I have not worn it in a long while so I took it out and put some on last night. It’s nice enough but not really me. And meow meow? That Rusty is sooo beautiful! Thank you, dear :) I hope I will be able to maintain some balance between rants and something more positive. While I enjoyed reading the interview, and Mr. Laudamiel seems like an interesting person, I didn’t like any of five or six his perfumes that I’ve tried; and I didn’t read too many raving reviews for the rest from his portfolio – so I’m a little hesitant. But I’ll keep an eye (a nose?) on his future creations. Rusty will get a couple of treats – for those pictures that haven’t been previously used on this blog. The idea of bespoke perfumes has never made sense to me even if I have all the money in the world. The perfumes I love such as Dior Homme, vintage Eau Sauvage, vintage Kouros, vintage Opium, I don’t think even a million dollar bespoke perfume can surpass these. I am not too arrogant to think that somehow my imagination will result in a more beautiful perfume than the minds who are Master Perfumers or who have spent years in creative direction. I should have the humility to acknowledge my limits and trust those with more credibility. The first iPhone was revolutionary because those who made it were technology insiders, not because the ideas came from customers with little or no knowledge of hardware and software capabilities. An average customer does not even know what he loves. I didn’t like lavender or was ever mesmerized by iris note until Dior Homme came along. I didn’t know tuberose can be the central note of a perfume that smells plummy until I smelled vintage Poison. And I hate Lutens Rousse where cinnamon is the central note yet I love Shiseido Feminite du Bois where Cinnamon plays an important role besides cedar. Not trying to pull devil’s advocate but just to be fair, I have to say that both your arguments and my are true only if we are sophisticated enough to truly appreciate those creations by Master Perfumers. If, on the other hand, “our” tastes are much simpler, “we” might enjoy whatever generic floral, musk or amber concoction was created specifically for us much more that the most acclaimed masterpiece created before. And if we do not have much exposure to perfumes, any variation on the great existing perfume might just do the trick. But for most people who reads this post and your comment, you’re absolutely right.